Nodular opacity with coarse calcification partially superimposed on the anterior arch of the 4th left rib and on the medial aspect of the body of scapula. Abnormal contour if ascending aorta and aortic arch with indistinct descending aorta. Inferior rib notching on left side involving 3,4,5 ribs. Differential include aortic coarctation with aberrant right subclavian artery and childhood Blalock Tausing shunt procedure. 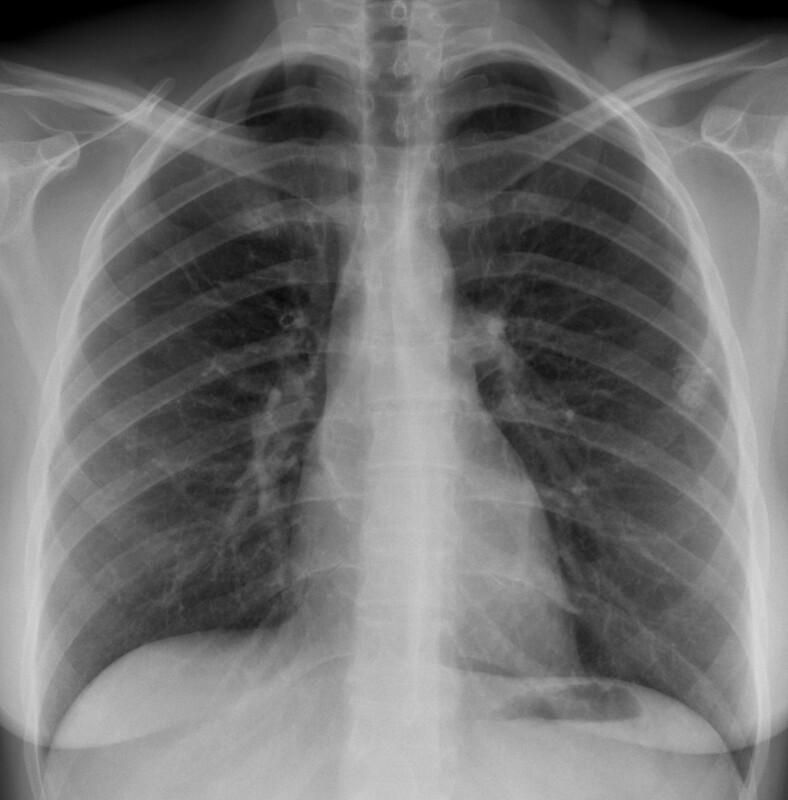 – Nodular opacity with internal coarse calcification at left mid lung zone, overlying at left anterior 4th shadow and scapular shadow. – Suspectd abnormal tortuous density at left supra-scapular region, might be artifact or true pathology. 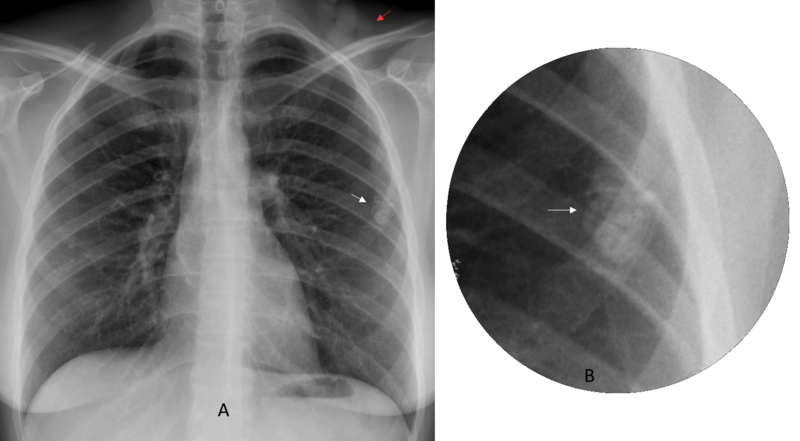 there is hyperlucency over the right upper zone seen on frontal radiograph, and dilated thickebed wall bronchus within it, on the lateral radiograph there is triangular opacity over the heart border… i think it is right middle lobe collapse with over inflation of upper lobe. 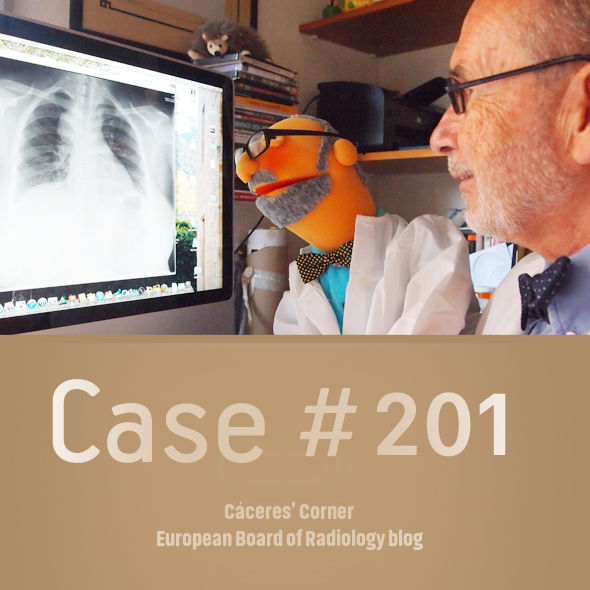 the calcification over the left lung may be artifact as it not seen on lateral view! can be other causes of lobar overinflation, congenital, intrabronchial lesion. CT chest should be the next step! The patient has a braid in her hair with a rubber band in her distal portion. Nodular well defined lesion projected over 4th left rib/medial border of scapula with coarse calcifications (maybe ring and arcs calcifications suggesting condroid lesion such rib enchondroma). 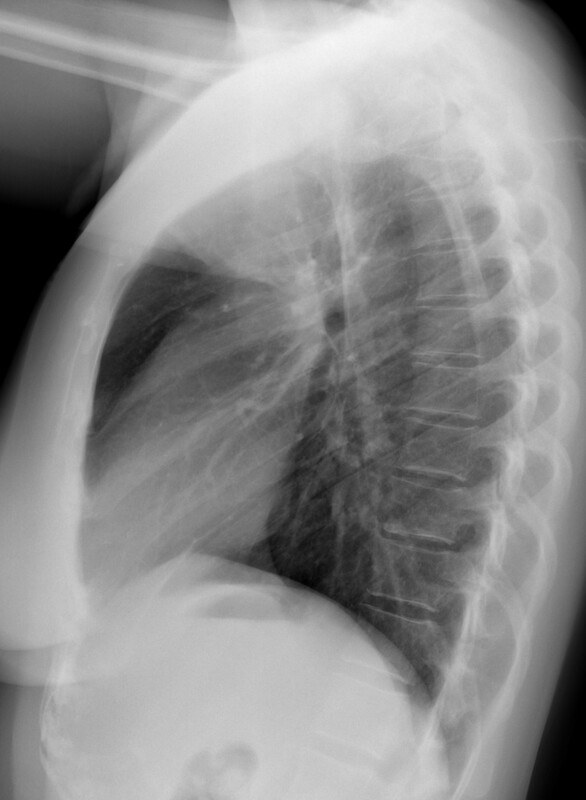 This lesion is not clearly visible in lateral view, so I assume it is extrapleural. Moreover, in left supraescapular region is visible some kind of artifact, maybe hair (and rubber) artifact. Hair tuft artefact in left supra clavicular region with design type opacity along medial border of left scapula likely plastic artefact of hair clip. Cortical contours of scapula and ribs are normal. Pleura and surrounding lung parenchyma are normal. in sucutaneous cell tissue foreign body? ( piercing maybe).